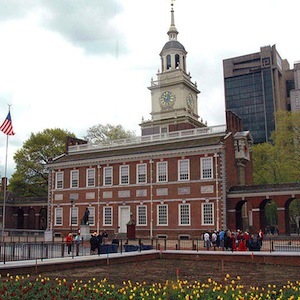 The City Council in Philadelphia, Pennsylvania, has approved a bill which has been hailed as landmark legislation for strengthening LGBT rights in the city. The bill offers tax credit incentives to businesses which change policies to allow the families of LGBT employees, to enroll for family health benefits. It also offers a similar incentive to employers who offer transgender-inclusive healthcare benefits to employees. The bill also goes further to make a series of revisions to the Philadelphia Code, to provide equal treatment for all, regardless of gender identity or sexual orientation. It will make city forms gender neutral, and makes it easier for transgender residents to request gender markers on some records, and name changes. Gender-neutral bathrooms are also required in city-controlled buildings, as well as access to buildings based on gender identity. Healthcare discrimination against non-union transgender city employees will also be banned, and the legislation ensures that employees in Philadelphia will be able to dress in accordance with their gender identity. Existing provisions relating to Life Partnerships were revised and expanded, reports the Human Rights Campaign. Speaking in support of the bill to the City Council, was trans man Dane Menkin. He said: “You know, if you’re male on your health insurance, then it doesn’t have access to gynecological services, ” he said. Philadelphia Mayor Michael Nutter, has already said he will sign the bill.